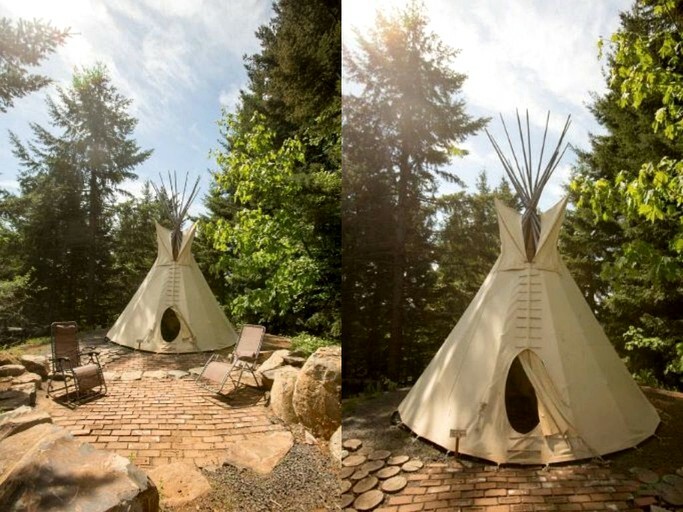 This pet-friendly tipi is located near White Salmon, Washington, and can accommodate two guests. The space is studio-style and there are communal bathroom facilities. 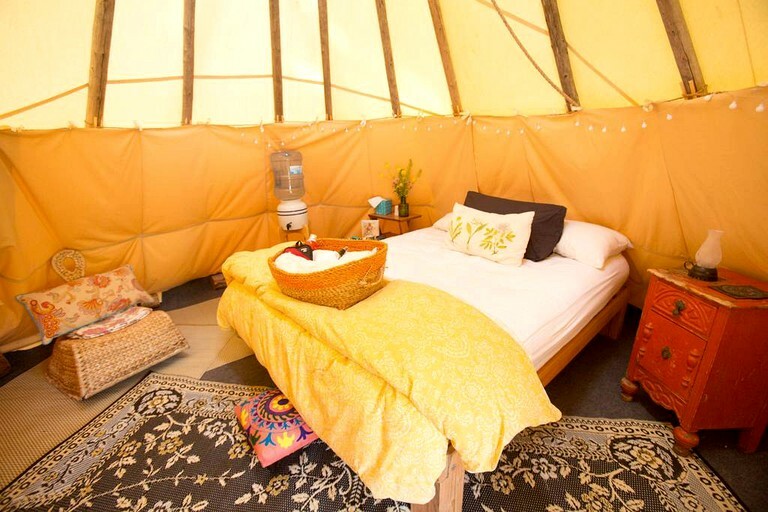 Inside the tent, glampers will find a queen-size bed, a water dispenser, and cushions. 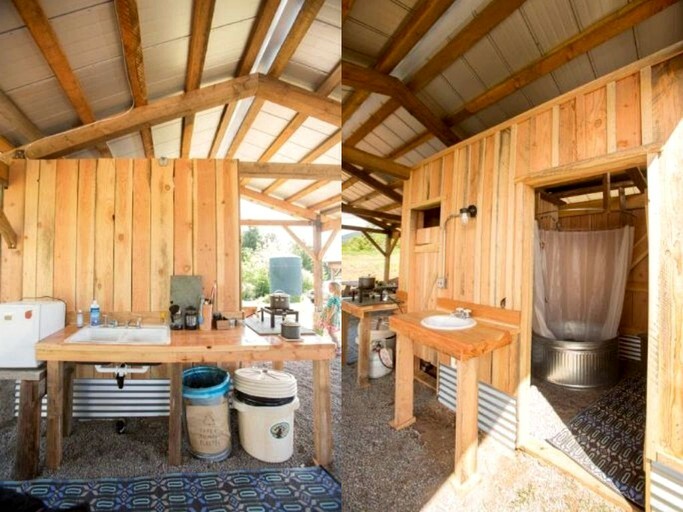 The bathroom area offers a composting toilet and a backup honey pot. Linens and towels are provided. 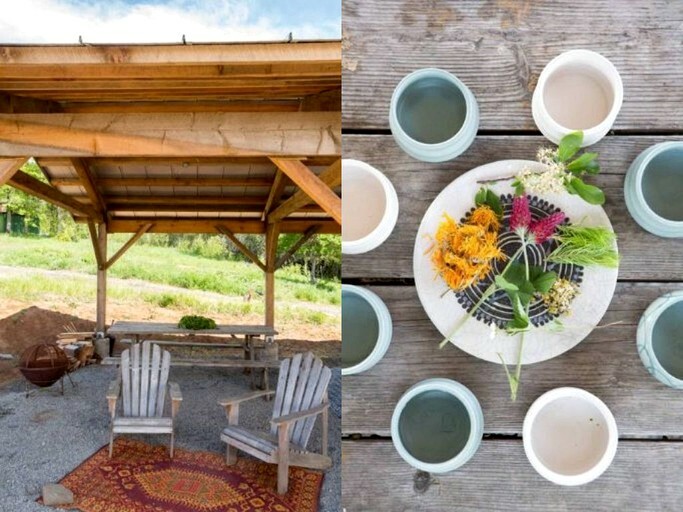 Power is available at the communal pavilion, where glampers will find a fully-equipped kitchen that has appliances such as a stove, a small refrigerator, and a grill. Other amenities include a high chair, a travel crib, books, and toys. 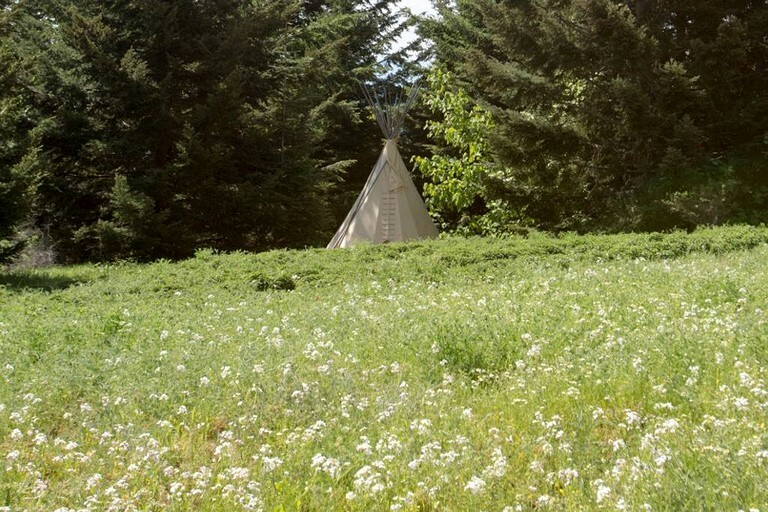 The tipi is settled on a working herb farm not far from beautiful White Salmon River. Guests will have easy access to hiking trails, mountain biking trails, and horseback riding. 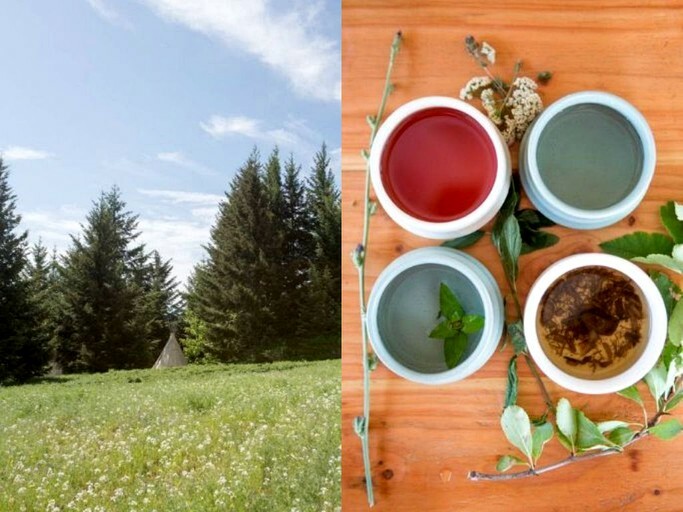 Guests of this remote property can wander the organic herb farm, taking in the peace and tranquility. There is a shared pavilion where guests will find power, hot water, a barbecue, and a communal kitchen area. Fresh well water is available, along with a composting toilet and an outhouse. For those traveling with children, the rental provides a high chair, a travel crib, books, and toys. 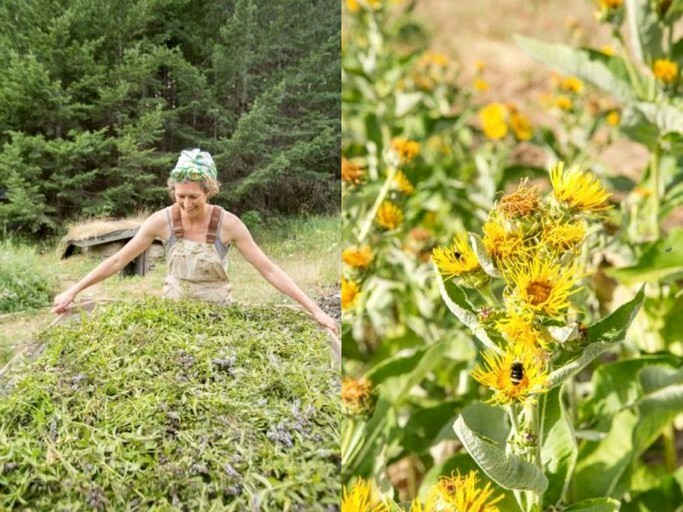 Settled on a working organic herb farm near White Salmon River, this gorgeous rural property is surrounded by trees and stunning views. Guests will find themselves secluded in nature, with only the chirping of birds and the sound of farming equipment stirring them each morning. Though rural, the city of White Salmon in Washington is just a short drive away from the property. White Salmon overlooks the Columbia River Gorge, offering jaw-dropping views of Mount Hood and Mount Adams. There, guests can shop for supplies, find delicious local restaurants, or simply peruse the eclectic shops. Another nearby destination is the city of Hood River, Oregon, which is known for its hiking, orchards, and riverfront beaches. 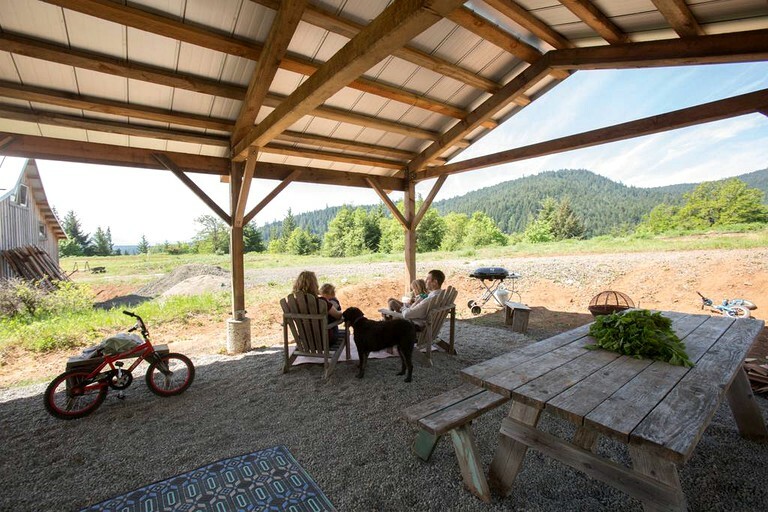 Secluded in nature, glampers will find hiking, mountain biking, and horseback riding trails just minutes away from their rental. The nearby Northwestern Riding Stables is the ideal place to book a trail ride into the woods, while there are an array of other outdoor outfitters that can set guests up on exciting adventures. 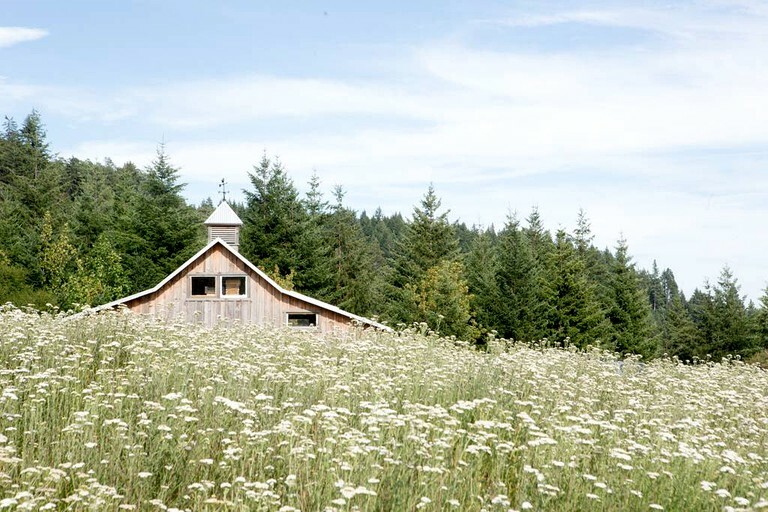 Glampers can even spend the day rafting, kayaking, or tubing on the dazzling White Salmon River. For spectacular summer views, the seasonal wildflower hikes on Mount Adams cannot be beaten. In the cooler months, cross-country skiing, snowshoeing, and snowmobiling are all ideal ways to explore the surrounding winter wonderland. For meals and supplies, glampers can pop by the lovely city of White Salmon. Smoking is not permitted inside the rental.